With its recently opened, world-class beer garden, Saint Arnold Brewing Company seems to be on a mission to prove that Texas’ Oldest Craft Brewery is more than capable of learning new tricks. The beer garden isn’t the only new addition, though. It’s not very often that Saint Arnold adds a year-round beer to the rotation, but it just did exactly that. Daydream is the name of the new brew and its not one of the usual suspects, like a pale ale, stout or IPA. 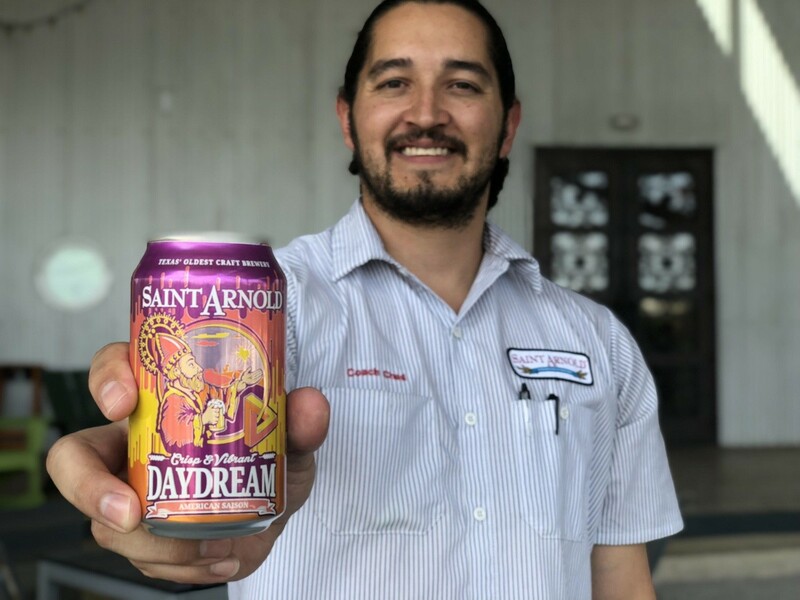 Saint Arnold head brewer Eddie Gutierrez says he was dreaming of the flavor he was looking for — which apparently was that of an American Saison. When Gutierrez tasted the first sip he says he felt that he had woken up from the dream. The saison style originated in Belgium as a pale ale when it generally had a lower ABV with fruit and spice notes dominating the palate. As the style evolved, the ABV rose and brewers took more liberty with the flavor profile. One criterion of the original saison is the use of indigenous ingredients. Modern brewers typically honor this tradition by using local citrus and yeasts in their crafts. Saint Arnold has previously released two saisons as part of its now-retired Icon Series, during which the brewery rotated through creative interpretations of iconic beer styles. The 2013 Bière de Saison showcased more spice notes while the 2016 Texas Honey Saison focused on local wildflower honey from Burleson’s Honey in Waxahachie. Daydream is the first saison on the brewery’s year-round lineup. Nosing Daydream reveals strong tropical fruit notes, specifically jackfruit. There are also hints of mango and pineapple. Tulip glasses work best for saison beers, as the design works to enhance aromatics and keep the head around longer. If you don’t have a tulip glass, don’t worry — a brandy snifter or traditional pint glass works just fine. The beer itself is a light golden hue, with an inch-and-a-half of head that quickly fades. Daydream has a strong wheat taste and the Belgian yeast is very apparent. Daydream has a slight bread-like flavor as well due to the pilsner malt used in the brewing process. The citrus on the nose makes it into the taste as well, but not in an overpowering manner. The strongest citrus flavor we picked up was lime. Daydream finishes very dry and invites you to take another sip. The mouthfeel is incredibly light and doesn’t remain on the palate for long. At only 5.2-percent ABV, we’d be comfortable drinking Daydream as a session beer on a warm Texas day. It is available in 12-ounce cans and on tap at bars and restaurants around the city. 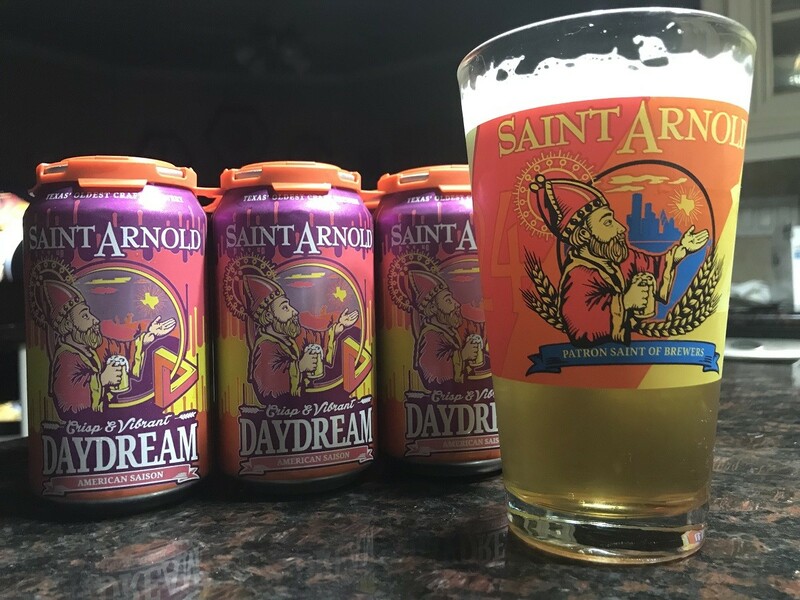 To make room for Daydream in the lineup, Saint Arnold removed Weedwacker from its rotation. Weedwacker was the first beer in the Movable Yeast series, in which Saint Arnold brewed its standard beers with different yeasts. Weedwacker was Fancy Lawnmower brewed with a Bavarian Hefeweizen yeast, which led many to call it “Hefe Lawnmower.” While it won’t be distributed year-round anymore, Weedwacker may still make occasional appearances on tap at the beer garden. Other breweries in the city have released saisons as well. Southern Star Brewing’s Waloon and Karbach Brewing Company’s Barn Burner were big hits upon release. Buffalo Bayou Brewery’s Tropikal and Rotundone are higher ABV variations of saisons. Austin’s Jester King Brewery releases more saisons than any other brewery in the state, and while some are brewery-only releases, many can be found in retail shops in Houston. Saint Arnold, overall, seems to be thriving. It fared well at this year’s Great American Beer Festival, winning two medals and bringing its total medal count to 26 — the most of any brewery in the southern United States.This year, the Great American Beer Festival saw 8,496 entries from 2,404 breweries. 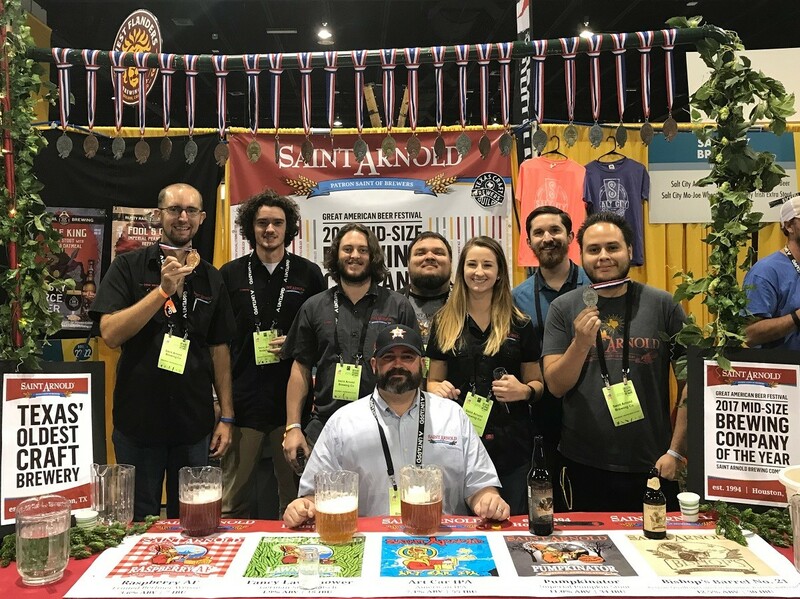 Saint Arnold was the only Houston-area brewery and one of 15 Texas breweries to bring a medal home. Oktoberfest won a silver medal in the Scottish Ale category and Amber Ale took bronze in the Ordinary/Special Bitter category.